Let me take you back to March 2006. The PlayStation 2 is in its twilight years, and soon to be replaced in Japan by the PlayStation 3. 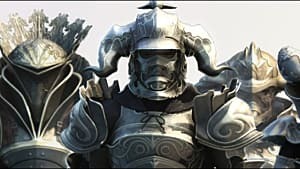 Because Final Fantasy XII released relatively late in the PS2 lifecycle, it was largely overlooked – especially in Europe and America, where the game came out just a month before the PS3 was released. 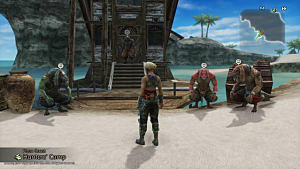 Although generally well-received and garnering a perfect score from Japanese magazine Famitsu, many fans criticized the game online. The critics picked flaws such as the slow start to the story, the vast array of characters and places to remember, and the new battle system -- which was a move away from the turn-based mechanics of its predecessors. 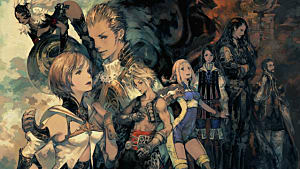 The recent release is a bit more than just a lick of HD paint, as it includes the previously Japan-only International Zodiac Job System (hence the title of Final Fantasy XII: The Zodiac Age). This addition aside, it's pretty much the same as the original game, which is now 11 years old. Unlike linear RPGs, this installment brought open, sprawling worlds and lots of freedom, which are a dime a dozen nowadays with the likes of Skyrim and The Witcher 3. 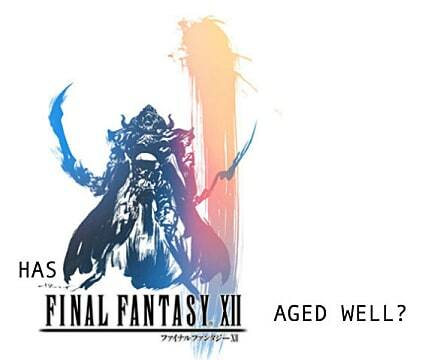 Being the pioneer, does that mean that Final Fantasy XII has aged compared to its modern day counterparts? We pick apart the various aspects of the game to find out. In a marked departure from previous entries in the franchise, there are no random encounters in Final Fantasy XII. This makes the battle system similar to other Square Enix games, such as Kingdom Hearts. The system was certainly the template for future entries in the franchise – I’m sure the Final Fantasy XV developers took notes. You can see your enemies, and if you're not strong enough to fight, you can also avoid them. Another innovation was the Gambit system. By using a series of menu commands, you can concentrate on fighting enemies without worrying about your other party members getting in the way. For example, you can set your allies to concentrate on the enemy attacking the party leader, or you can ask a party member to heal you if you are under 40% of your total HP. 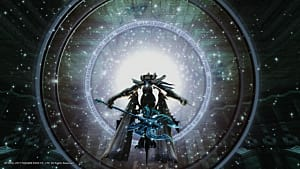 As explained in the PlayStation official TZA promotion video, the Gambit system is actually based on the enemy AI in earlier Final Fantasy games, meaning that this is also a link to past themes (as with chocobos, a character called Cid, and certain enemies appearing in each title). The Gambit system makes combat fresh and has certainly helped the game to age well in comparison to the earlier additions in the franchise, such as Final Fantasy VII’s turn based battle system. 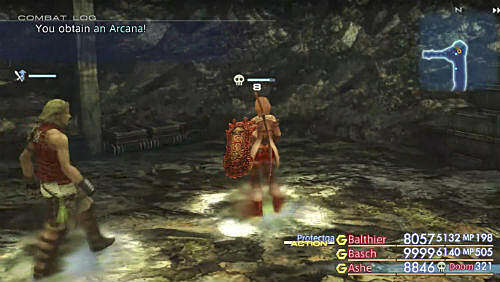 Like Final Fantasy X, you also have the option to switch out characters in your party, which allows you to level up more characters in a single battle. In addition, Final Fantasy XII has admirably matured in linking the combat to the story. 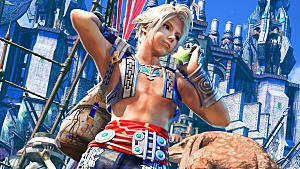 Early on, you get to control Vaan, a street urchin who is excellent at stealing. You will control him for most of the game. 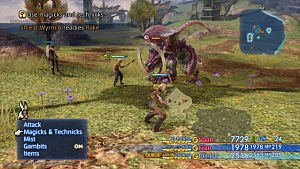 Utilizing his skill is important in progressing your characters as you won’t get much Gil from just defeating monsters. We may be used to the combat and the story being inextricably linked because of games like Bioshock, but 10 years ago, the practice was less common. The PS4 remaster includes a refinement to the International Zodiac Job System. Your characters can gain specialized skills for individual classes through licence boards. Unlike the original International Zodiac Job System, which only let you choose one class per character, the new Zodiac Job System lets you have two classes assigned to each party member. For example, you can have a White Mage healer who can also deal damage with their bow and arrows as an Archer. This system can be overwhelming, particularly if you’re used to the more pedestrian turn-based JRPGs, but this level of customization certainly marks this Final Fantasy installment as one of the most timeless, tactical and varied. Indeed, this game is a good stepping stone for the level of strategy and planning you need if you’re yet to check out the Final Fantasy Tactics spin-off series. Like most Final Fantasy games, the story can be difficult to follow -- especially in the first few hours, when you switch from one set of characters to another. 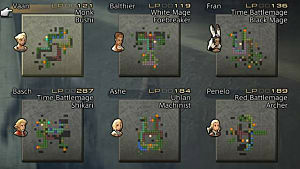 In Final Fantasy XII, the small kingdom of Dalmasca is a neutral party in a war between the Archadian and Rozarrian empires. Tumultuous events at the start of the game -- which in some ways are pretty similar to Final Fantasy XV’s Kingsglaive movie -- leads to Dalmasca's occupation and rule by the Archadian empire. The story has been favorably compared to Star Wars with a captured princess, a sky pirate, and an evil Empire to defeat – which almost seems a blueprint for the Niflheim Empire in Final Fantasy XV. The story is refreshing, and sets itself apart from the franchise by remaining grounded in the war between two empires. It doesn’t suddenly have conventional memory loss for plot reasons and monsters landing from the moon at the eleventh hour (I’m looking at you, Final Fantasy VIII!). 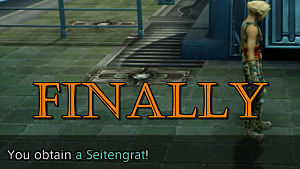 Although my opinion may anger some JRPG fans who adore fantastical stories, I appreciate this entry’s simplistic nature. 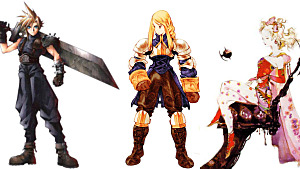 There’s something more grown up about these characters compared to the Dawson’s Creek -esque teen drama in Final Fantasy VIII, or Final Fantasy IX’s protagonist Zidane, who inexplicably has a tail. Vaan is much like the player. He is an observer who is somewhat detached from the main plot. This fits well in the story, as it is very unlikely that one street thief would be able to influence a huge war between two empires. Balthier is essentially Final Fantasy XII’s Han Solo. Although we see most of the story through Vaan's perspective, Balthier often amusingly refers to himself as "the leading man." Ashe is a very strong female character, and potentially could have been the template for Lightning in Final Fantasy XIII. Like Noctis in Final Fantasy XV, she needs to avenge her besieged kingdom and reclaim her throne. What I liked most about the characters in Final Fantasy XII was the excellent voice acting. Personally, I found the voice acting in Final Fantasy X a bit jarring and melodramatic at times. Arguably, this is understandable as this was the first fully voice acted entry in the series. Since then, Square Enix seems to have learned from their mistakes. As a result, the voice over in this installment is subtle yet powerful. The PS4 Zodiac Age remaster now lets you switch to the Japanese voice actors, although the English voice actors still portray the characters well. The more realistic characters is another reason why this game has aged well, and has arguably been copied by other games (such as the great voice work in Life is Strange) and even other entries in the franchise. This is the first Final Fantasy that didn't prominently feature composer Nobuo Uematsu. After his departure from Square Enix in 2004, his sole contribution was the ending song, Kiss Me Goodbye. Instead, most of the score was composed by Hitoshi Sakimoto, who is best known for his work on the music in Final Fantasy Tactics. Some fans have criticized the music in this game, saying that it is one of the weaker in the franchise. FFXII still has great pieces, such as the excellent Little Thief and the more laid back feel of the Chocobo theme, Chocobo FFXII Arrange Ver. 1. Since Square Enix improved the sound quality, FFXII has a more HD audio experience. On reflection, I would say that this is the only part of the game that hasn’t aged well. Generally, most big budget games use orchestras for the entire soundtrack. A decade ago, Final Fantasy XII represented a leap that some fans were not prepared for. Being ahead of its time has helped this game to age like a fine wine, and has perhaps led other games to imitate it poorly. The brave decision to ground the story as a war between two empires may lead some to question where the "fantasy" is – but what piece of fantasy literature or other media can you name that doesn't have some sort of "normal" conflict? Gone too are the lost in translation text errors of Final Fantasy VII, and the amateur dramatic voice acting of Final Fantasy X. Here, you have great voice actors such as Kari Wahlgren (who plays Ashe, and most recently Graham’s potential partner in the Sierra King’s Quest reboot) coupled with good localized text that makes perfect sense. Both are essential if you want to understand the intricacies of the story. The sheer scale of customization and tactical nature of battles is a refreshing change from the "just spam X" controls of other entries in the series, and the mindless nature of shooters such as Call of Duty. In short, if you didn’t have the chance to pick it up on PS2 back in the day because you were more interested in upgrading to PS3, pick this game up. Its depth, score and amazing HD cutscenes may surprise you. Do you agree with our assessment of Final Fantasy XII? Do you think this game has aged well? Let us know in the comments below! FFXII HD (Kind of) Confirmed!